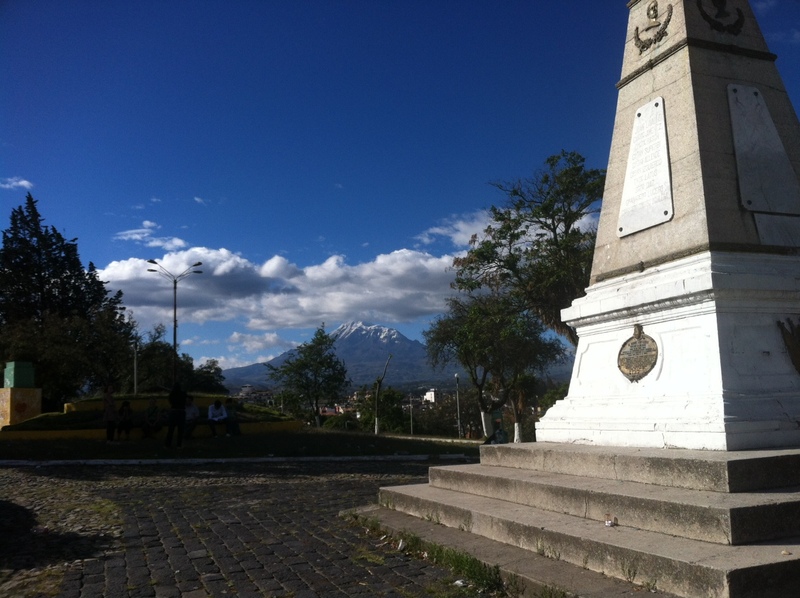 DAY 1 & 2 – Riobamba, Ecuador. Seeing as that is essentially the extent of my Spanish when I arrived in Quito yesterday night, I was a little apprehensive about how I was going to survive. While I’m still a little concerned, I feel more confident now that I know more about how the clinic is going to work. I won’t go into detail now to leave some room for everyone else to blog, but I don’t think my lack of detailed Spanish language skills will be extremely detrimental to my experience. 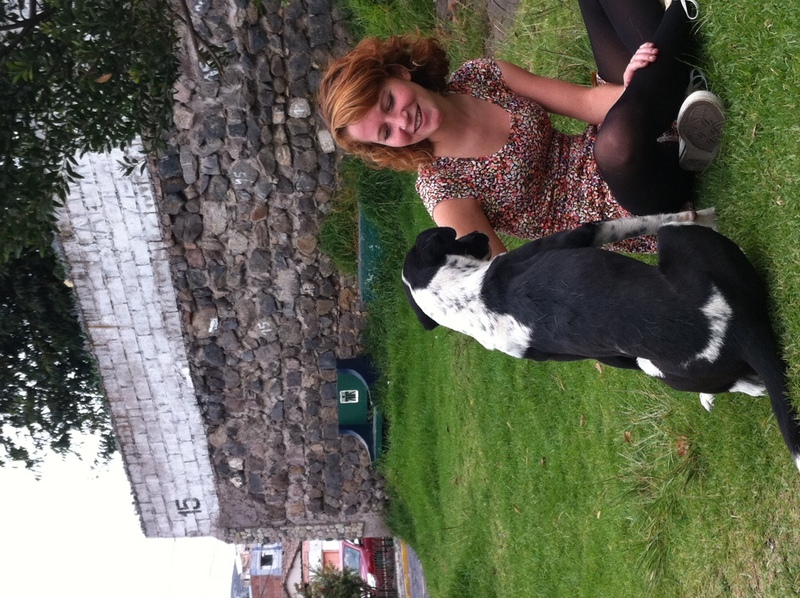 I’m so thrilled to be here; just getting to Riobamba was an adventure. After arriving at the Quito airport after 3 different flights and 12 hours, I rode with the rest of the brigade on a bus for another 4 until arriving at our hotel. Before we could even get on the bus, though, there was still one flight to wait for after mine arrived. A bunch of people who had already landed decided that we would pass the time by finding food. We all wandered out into the teeming streets of Quito on New Year’s Eve and found the best (fast and cheap) meal that we could. This turned out to be chicken on a stick topped by a mouthwatering potato for me; others got pork or sausage instead of chicken. We ate while we walked back to the airport to meet the last flight and get on our bus. About halfway through our bus trip, the clock hit midnight. 2011 was gone, and we all got off the bus to toast and eat grapes (12 – one wish for each month in the new year.) Another new New Year’s tradition for me, in addition to the grapes, was the burning of dummies; there were fires everywhere with people grouped around them, burning the bad of the old year away. Ecuadorians seem to celebrate New Year’s exuberantly. I like it. We leave for our first clinic day tomorrow, and while I’m so excited, I really enjoyed exploring Riobamba and a neighboring city called Guano during our non-clinic day today. The landscape in both places was absolutely beautiful and not something I am used to seeing in Montreal or where I grew up – there are some pictures of this gorgeous place in our photo album, because a picture is worth a thousand words. There are houses and farms creeping up on endless mountains, and if you find the right spots, you can see entire cities at your feet. The depth and variety of the colors are fantastic, too. I feel kind of bland here next to these houses and lights, all lit up by sun on a blue sky. Even our sunburns are a very rich, vivid red. If you are reading this and thinking about going on a brigade, I have some words of advice. First, definitely do. I can tell this is going to be an unforgettable week. Second, bring the strongest sunscreen you can find; we’re at the equator and the sun is unforgiving; we all started to get a little crispy around noon, and there is always a spot you neglect to apply sunscreen to. For me, it was my ears. Third: bring sturdy walking shoes, because you don’t want to miss seeing something incredible because your feet hurt. And there is so much to see. For more pictures visit our Flickr and Follow us on Twitter for ON THE SPOT updates!